QUAKERTOWN, PA> The heart of the Quakertown Farmers Market is home to a wonderful, small business paradise! The Barn 2 Shops houses some of finest small businesses in the Bucks and Montgomery County, PA area. Whether you're looking for hand crafted candles, vintage games and gaming system, independent art, music and comics, treats and accessories for your dogs and cats, collectibles, musical instruments, or knick knacks and paddy wacks, The Barn 2 Shops has something for everyone! 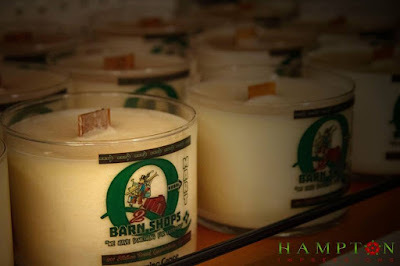 The Barn 2 Shops features stores such as Burning Bridge Candles which specializes in handcrafted candles produced directly on site! Doghouse Gaming, which carries products for all your gaming needs from Atari on up! Goin' to the Dogs, which specializes in dogs treats, products and accessories. Waldens Music and gifts featuring musical instruments, music and accessories and Gallery at Barn 2 by Hampton Impressions which specializes in photographic art, digital art, and independent music and comics. These featured shops only touch the surface on whats available inside the Barn 2 Shops! 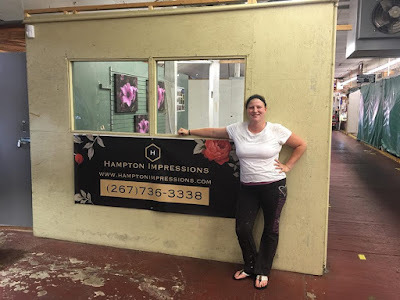 The shops are all independently owned and operated by local owners with healthy ties to the community. As the holidays approach, make sure you stop out to the Barn 2 Shops for all of your holiday gift needs! There is always something for everyone! While you're there, be sure to stay a while for a burger, fries and a homemade milkshake from Flip City Shakes. Yum!